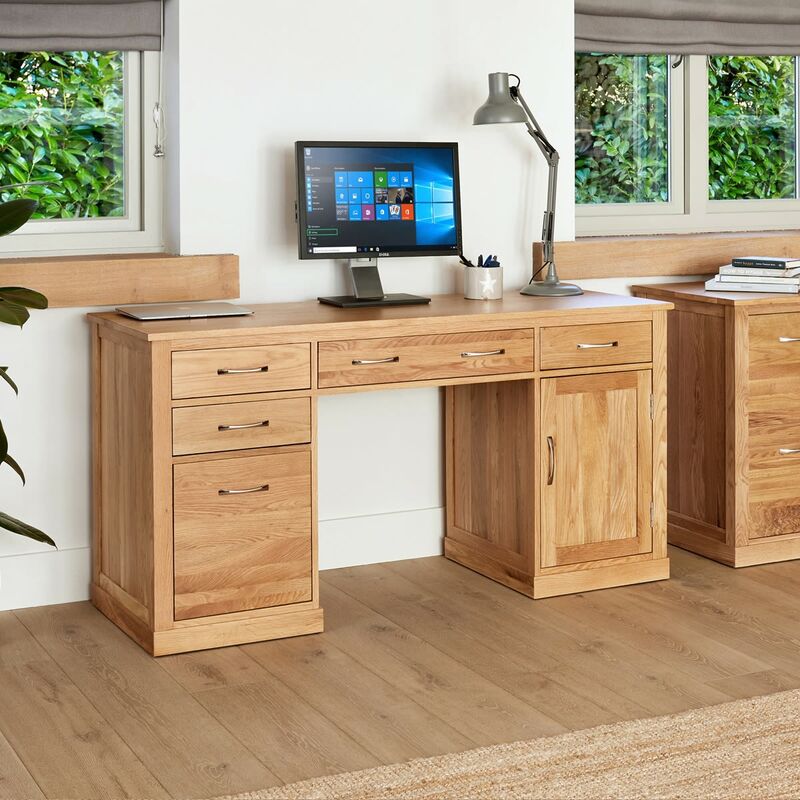 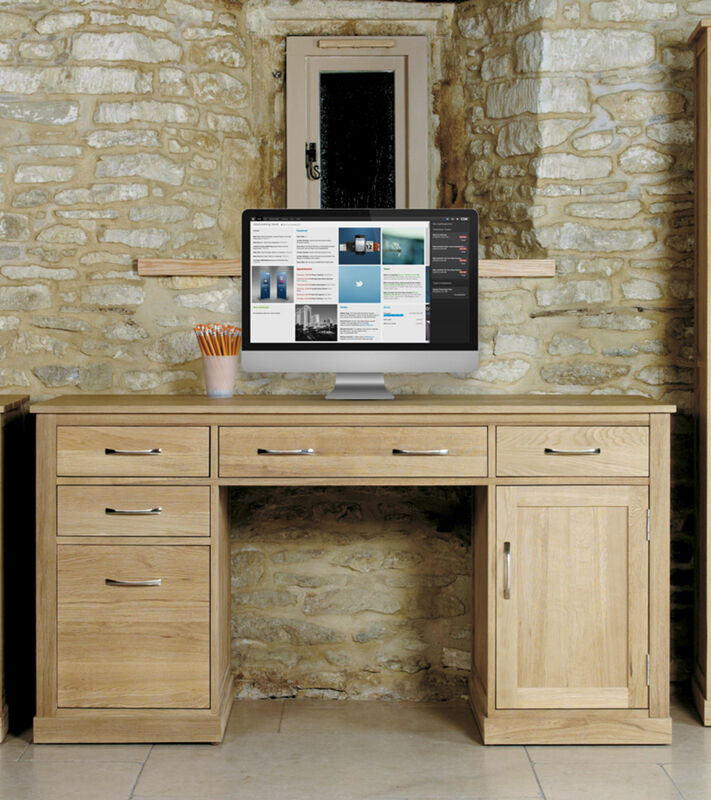 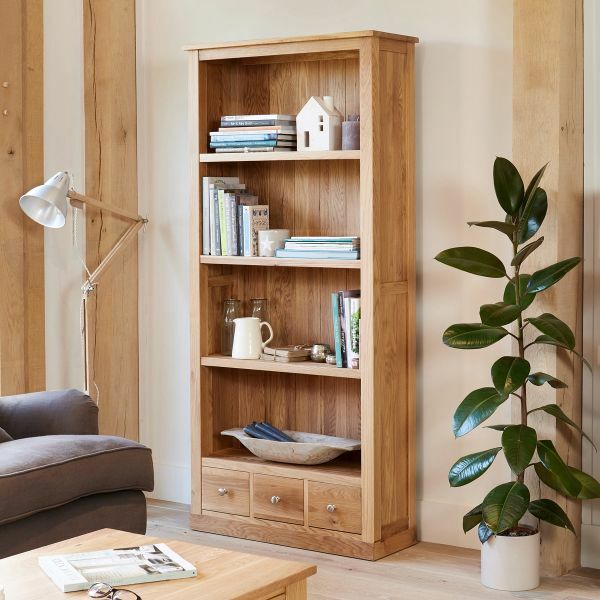 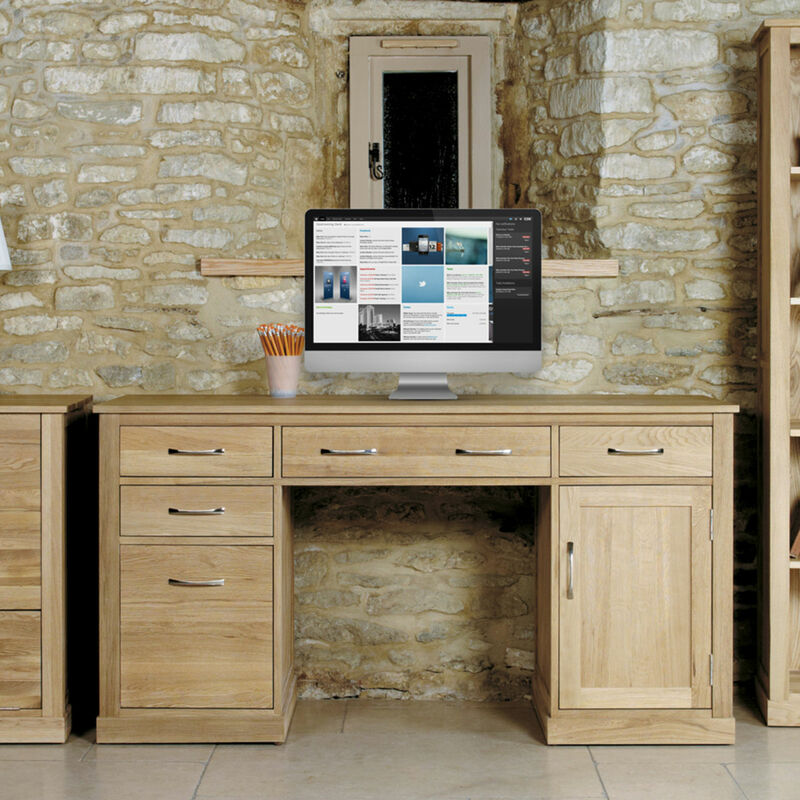 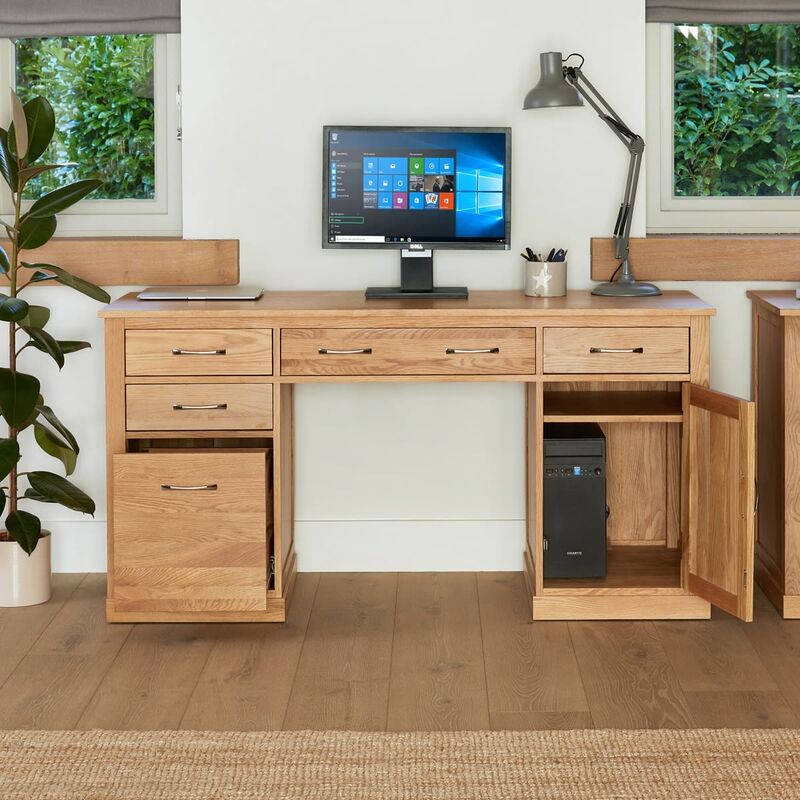 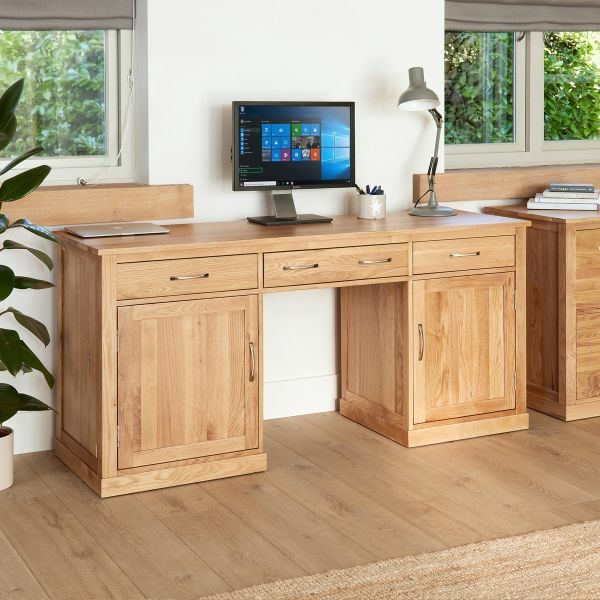 This extremely practical Mobel light oak twin pedestal desk is spacious with significant storage space and has a range of neat features - but remains very stylish and will quickly become the mainstay of your home office or study. 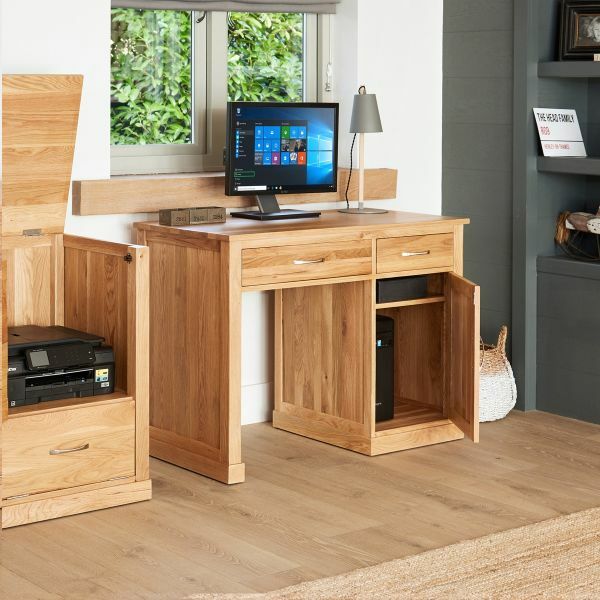 The large working surface area is complimented by a neat pull-out keyboard drawer that gives a very generous 38cm of extra working space, the right hand cupboard is for storing a PC or computer tower unit and the left pedestal has a large suspension filing drawer. 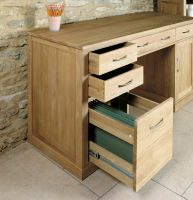 In addition to this, there are also three large stationary drawers to provide useful storage. 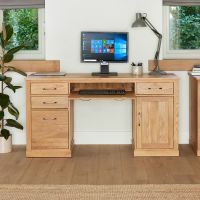 Overall this light oak twin pedestal desk is crafted from the highest grade, selected solid oak and has exceptional build quality; designed to last a lifetime. Hardwood back and drawer inners, tongue and groove back, dovetailed drawer joints, stylish brushed steel two-tone handles, no veneers and the panelled sides add design detail. 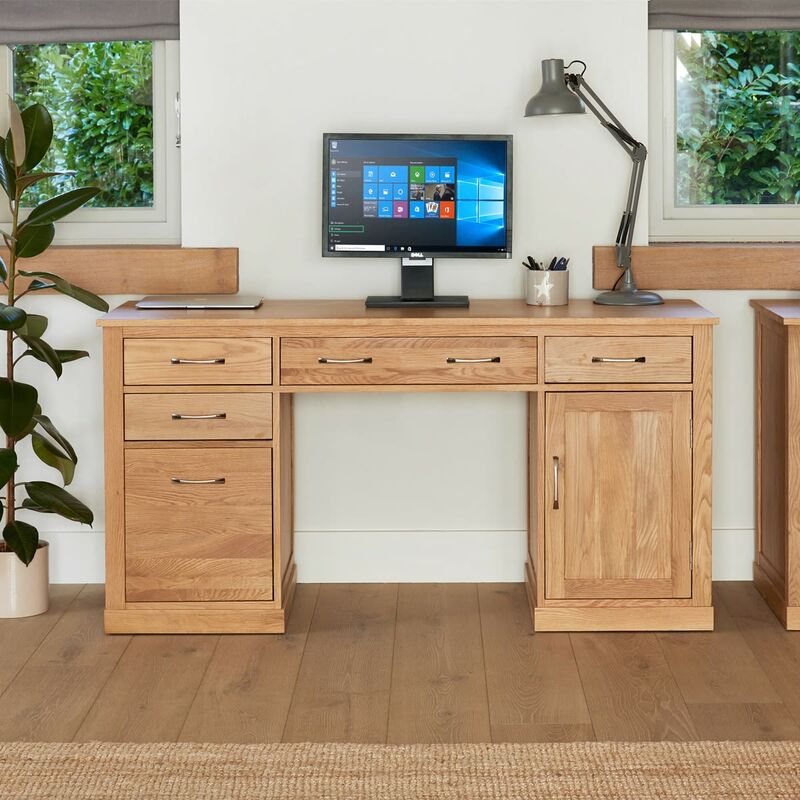 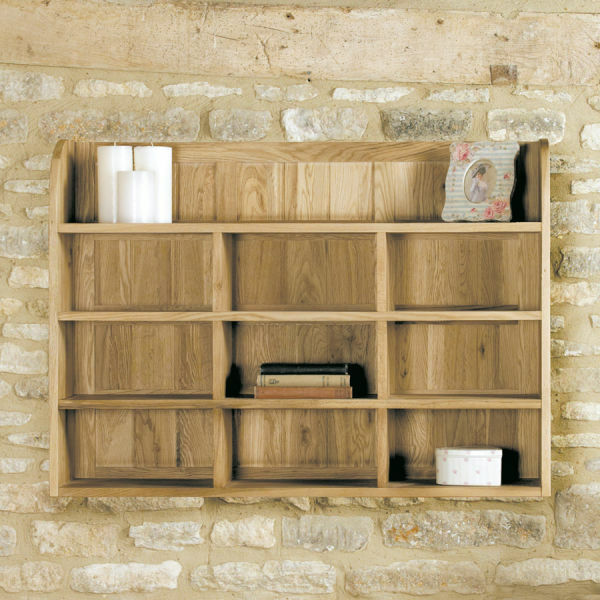 This light oak twin pedestal desk is perfectly complimented by this low oak bookcase .